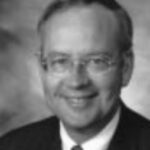 Kenneth W. Starr enjoyed a distinguished and varied legal career even before his service as independent counsel guaranteed him a permanent and prominent place in American history. A Texas native with a bachelor’s degree from George Washington University and a law degree from Duke University, Judge Starr served as a law clerk for the late Chief Justice Warren Burger before joining a prominent Washington law firm. He went on to become the youngest judge ever appointed to the U.S. Court of Appeals and President Bush’s solicitor general. In 1994, a three-judge panel appointed him to investigate President and Mrs. Clinton’s involvement in the Whitewater real estate venture. His jurisdiction was later expanded to include the administration’s dismissal of White House traveloffice staff, possession of confidential FBI files, and alleged subornation of perjury from Monica Lewinsky. He currently plans to return to private law practice. Judge Starr presented these remarks as the keynote address of Hillsdale College’s Shavano Institute for National Leadership seminar, “Heroes for a New Generation and a New Century,” held May 22-23 in Dallas, Texas. In the 24-hour news cycle, discussion of important issues frequently descends into the less edifying, but apparently more entertaining, arenas of personality, spin, and bumper-sticker/soundbite politics. Although the media quickly loses interest in almost any issue, one story in mid-May seemed to gain a slight toehold—more than the usual 15 minutes of fame. This story was about the Supreme Court. And behind the screaming headlines and news bulletins on CNN was an enduring story about our system of government, the federal republic that was ordained at the Founding. The court struck down, as unconstitutional, a portion of an Act passed by Congress, the Violence Against Women Act. This statute provided, among other things, that victims of gender-animated violence would be able to bring a lawsuit for money damages against their assailants in either federal or state court. The key element under challenge was this: there would be a federal cause of action, not one ordained by the law of the particular state in which the victim lived or experienced the gender- animated attack. Congress, in short, had stepped in to address a question of violence within a decidedly domestic setting—in the particular case before the Court, a dormitory room at Virginia Tech where two football players, it was alleged, sexually attacked a young woman who had just begun her freshman year. The problem of violence generally, and crimes against women more particularly, is indeed serious. No one could question that basic proposition. The statistics are just too grim. But the issue before the Supreme Court was one not of policy; rather, the issue was one of power under our structure of government. Did Congress have authority under the Constitution to fashion a remedy for the vic- tims of gender-motivated crime? Isn’t the issue of violent crime, unless some predicate of federal jurisdiction is involved, one for the states in our federal system? What role, properly, does Congress have in addressing this admittedly serious, but seemingly local and state problem? The Supreme Court, by the narrowest of margins, 5-4, struck down the statute as exceeding Congress’s powers. Speaking through Chief Justice Rehnquist, the Court—over the vehement dissent of four Justices—held that Congress had improperly intruded into the province of the states in the exercise of the basic police power to deal with domestic violence. There was, in short, a violation of the structure of our Constitution. I would like to reflect on this enduring question of structure under our system of ordered liberty, for I fear that the last generation or two have neglected these great lessons from the Founding. We have, rather, tended overwhelmingly to place our hopes and aspirations on the separate, and highly important, question of individual rights and liberties. We have become the generation of the Bill of Rights, neglecting the text and structure of the Constitution itself. The first ten amendments to the Constitution stir the hearts and minds of the present age. Structure, in contrast, sounds dry, a bit tedious. It sounds like something for engineers and architects, but surely not for friends of liberty. How unfortunate. How strange it would seem to that wisest generation, which established our Republic. How wanting they would find our basic understanding of the system of government that, for all its faults, has served the cause of liberty so well for the past 213 years. Dr. Johnson opined that we more often stand in need of being reminded than we do of education. And it is important, I believe, to remind ourselves and patiently to remind others of these basic truths about our system of ordered liberty. For they were the genius of the founding generation. To the founding generation, structure was the key to the protection of human liberty. Many of us recall from history one of the great debates that unfolded at the Constitutional Convention in Philadelphia. What would be the role of the states? How powerful would the new government be in relation to the states? The delegates in Philadelphia made two fundamental decisions as to structure. The first had to do with the architecture of the new central government. Ours would not be a parliamentary system, in which the legislative power was dominant. Nor would it be one where power was centralized in the executive, even a branch headed by as admirable and great a man as General Washington. Rather, there would be a balanced government of coordinate powers. The Supreme Court’s decision in U.S. v. Morrison to invalidate the contested provision of the Violence Against Women Act is thus a ringing endorsement of our system of limited government, of enumerated powers, and of the preservation of the role of the states. But in contrast to landmark decisions, say of Marbury v. Madison or in this century of Brown v. Board of Education, this judgment is under vigorous and unrelenting assault. On the morning after the U.S. v. Morrison decision, the lead editorial in the New York Times contained this provocative headline: “Violence Against the Constitution.” To the Times editorial board, the Supreme Court’s invalidation of the Violence Against Women Act showed an obtuseness to Congress’s ability, and the compelling need, to identify and address pressing problems that affected the nation’s wellbeing. There can be no doubt here. The future of our system of federalism is at stake. The four dissenters, speaking through Justice Souter, were grittily determined to carry on the fight. This would not last. This effort to cabin Congress within its historic domain of enumerated powers would fail. In their nationalist vision, reminiscent of the worldview of Alexander Hamilton, what Congress wants, it can get, as long as the only value at stake is the power of the states. In my own recently concluded duties, I saw the Constitution’s structural principles at work—or not working—up close and personal. The Congress in 1978 made a fundamental decision to depart from our system of separated powers and create an entity theretofore unknown in our government: an independent counsel, originally called a special prosecutor, appointed by three federal judges. This new officer would be left alone, so the theory went, to do his duty. Then the nation would know that a vigorous investigation had been completed into the question of whether wrongdoing had occurred by a senior Executive Branch official, including, most delicately, the President himself. This departure from our structure of government was occasioned by the exigent experience of Watergate generally and the Saturday Night Massacre more specifically—the firing of Archibald Cox. Congress was determined not only that investigations would be thorough, but that protections would be built in so that the independent counsel could go about his task unimpeded. The law would cabin the Attorney General’s discretion, require the appointment of an independent counsel, and take these sensitive investigations away from the Justice Department. Americans are a practical people. In business and education we look to what works. Upon finding a design defect, the smart businessman, engineer, or architect says, “We’ve got to find another way. Let’s make this work.” There were numerous design defects in the structure of the independent counsel statute, and this is not the place to recite all of them. To be sure, the statute did create a mechanism that resulted in vigorous, active investigations over its 21-year history, complete with full reports at the end of the process. The misleadingly labeled Whitewater investigation (which was much too narrow a descriptive title), produced no fewer than 14 criminal convictions and, of course, the historic referral to the United States House of Representatives involving the impeachment of a sitting President—the first of a duly elected President in our history. In the 24-hour news cycle we have, it appears, already gone past a revealing news item. Senator Arlen Specter (R-PA) has expressed outrage that until a subpoena was issued, Congress was not provided with a memorandum of several years ago from FBI Director Louie Freeh, whom I believe to be a great and honorable public servant. That memorandum from Judge Freeh, according to news reports, suggested that the Attorney General should recuse herself from the decision whether to appoint, under the statute, an independent counsel to investigate the campaign finance allegations that arose in the wake of the 1996 presidential election. The reason for Judge Freeh’s suggestion was that the head of the Justice Department’s Public Integrity Section had told the deputy director of the FBI that the Attorney General’s job hung in the balance were she to appoint an independent counsel to conduct the campaign finance investigation. But I want to focus on the more basic issue: Congress’s decision back in 1978 to depart from our structure of separated powers created the worst of all worlds. The Attorney General was held insufficiently accountable for a series of decisions made under an increasingly technical, arcane law. Lawyers were endlessly debating narrow questions of statutory interpretation. Lost in the shuffle over the law, and in the debate as to whether the law was triggered by the particular state of the evidence at hand, was the basic question of good, honest government and how to assure public confidence in government. The independent counsel statute, in compromising the integrated structure of our Executive Branch, diluted responsibility and eroded basic accountability. Structure is as fundamental to government as a business plan and an organizational chart are to a private company. The defective structure of government created by the independent counsel law subjected duly appointed Article III judges—the judges of the Special Division—to unfair and unwarranted political attacks, to which they, true to their office, could not respond. Defective structure also created perverse incentives for the Justice Department to compromise its stewardship of its solemn duties to administer the laws faithfully. The Department failed most dramatically during one of the most difficult parts of the lengthy investigation that I was called upon to lead. Early in the Lewinsky phase of the investigation, my office was accused of leaking grand jury information. That was a most serious charge. It was a grave accusation. While witnesses can march out of the grand jury room and speak to their hearts’ content, prosecutors and the grand jurors themselves are sworn to secrecy. I hoped and prayed that our office was entirely innocent of these serious charges. I had the highest confidence in my colleagues, in their honor and integrity. But a charge was being leveled by the very able lawyers to the President, and I was duty bound, as head of the office, to take appropriate action. I recall that time very vividly. I had been in Little Rock, in court on issues pertaining to the Jim Guy Tucker cable case (part of the far-flung nature of the so-called Whitewater investigation). Alerted to the accusation being made by David Kendall, President Clinton’s private lawyer, I promptly reached out to the director of the FBI, who was unavailable at that time. I then spoke by telephone from Little Rock to Neil Gallagher, the assistant director of the Bureau. Having served twice in the Justice Department, I was familiar with the proper steps to take: I wanted, and asked, the FBI to provide experienced agents from its Office of Professional Responsibility to conduct a leak investigation. We would find out the facts, and then the chips would fall where they might. Speaking for the FBI, Mr. Gallagher immediately agreed. I should add that at all times the Bureau was entirely and honorably supportive of our office’s work. But then something happened. The Justice Department told him to stand down. No aid would be provided to us. We were on our own. The next few months proved very difficult indeed. This decision by the Justice Department was wrong. It was wrong at a moral level; it was wrong at a legal level; it was at bottom a dereliction of duty. At this late date there still has been no accounting for why the Department violated its solemn duty under the independent counsel law to provide professional assistance to an independent counsel upon request. Then, to make bad matters worse, when the Attorney General decided a few months later to conduct her own investigation of our office, the Department leaked word of the investigation to the news media—after assuring us of its confidentiality. To this day, despite my protests about this unprofessional activity, which injured the reputation of a prosecutor’s office already subjected to a vehement and sustained campaign of vilification and demonization, I have been informed of no curative or remedial action that has been undertaken. This was a gross lapse of professionalism and ethics in a great Department that richly deserves ethical and responsible leadership. It does little good to rail against the particular occupants of office. This too shall pass. And there will be in our future, God willing, great public servants who answer the call to duty, and then there will be others who will fall short of that high and noble calling. The point is that the violation of structural integrity led directly to these most unfortunate events, when the Justice Department performed so poorly in carrying out its responsibilities. There were too many structural incentives to wish our office ill, and there was not present the character, the integrity, to guard against the incentives created by the anticonstitutional structure fashioned by the 1978 Congress, laboring, as it was, under the heavy burdens of Watergate. Earlier this spring I had the privilege of standing with former Senator Alan Simpson (R-WY) in his last public forum at the Kennedy School’s Institute of Politics. In his closing words, he said, among other wise things, “If you don’t have integrity, you don’t have anything.” How right he was. But I would add to that observation. If you don’t respect our structure of government, the edifice erected at the Founding by our wisest generation, then you do not protect our system of ordered liberty. May we, now in this dawn of the new century, recapture our love for our constitutional system, for the structure that has allowed this great Republic to grow and prosper.